Home | Reports | How councils work: an improvement series for councillors and officers - Using cost information to improve performance: are you getting it right? 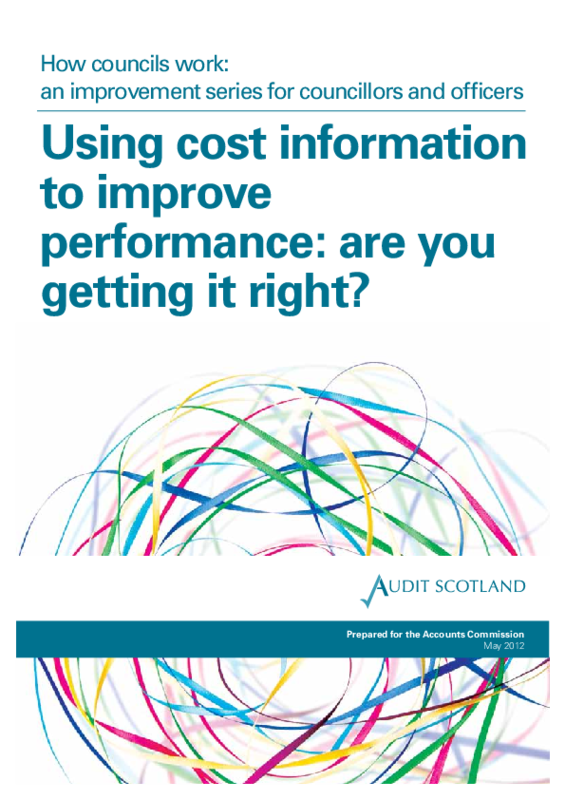 Report: How councils work: an improvement series for councillors and officers - Using cost information to improve performance: are you getting it right? Local authorities spend almost £40,000 every minute (£21 billion a year) providing vital services. But they can do more to ensure every pound delivers maximum value for the people they serve.